An artist’s impression of: Freespace, with view from the Cultural Boulevard. East of Europe, there’s a swathe of new cultural hubs springing up. Just opened or soon to be, each comes with a distinct remit, yet together they’re completing a ring of culture around the world. Only the quickest look at the map will reveal evocative examples, such as China’s Wuhan Central Cultural District and Chengdu Tianfu Cultural and Performance Centre, Taiwan’s Taipei Performing Arts Center and National Kaohsiung Center for the Arts (Wei-Wu-Ying), United Arab Emirates’ Dubai Opera, and Kazakhstan’s Pyramid of Peace and Accord and Astana Opera. A game-changer for global performing arts is certainly the powerhouse taking shape in Hong Kong: the West Kowloon Cultural District. 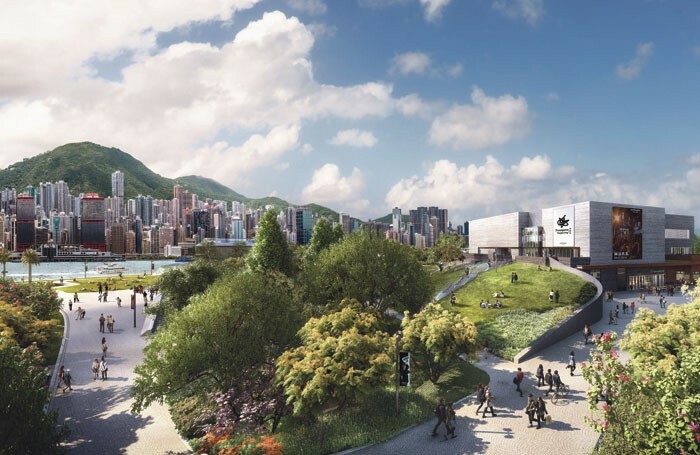 Spread across 40 hectares of land reclaimed in the 1990s as part of the HK$200 billion (£20 billion) Airport Core Programme, the hub is run by the West Kowloon Cultural District Authority and will include 17 core arts and cultural venues, as well as space for arts education. As head of theatre, Low is part of a larger artistic development team across the different art forms that look into forging a deeper relationship with the local arts sectors and establishing a dialogue with the international arts scene and artists – and hence their potential presence in WKCD’s future venues. Low is from Singapore, where he was deputy director at the National Arts Council and served as the artistic director of the former Singapore Arts Festival between 2010-2013 and general manager of the Singapore Biennale from its inception in 2005 until 2009. 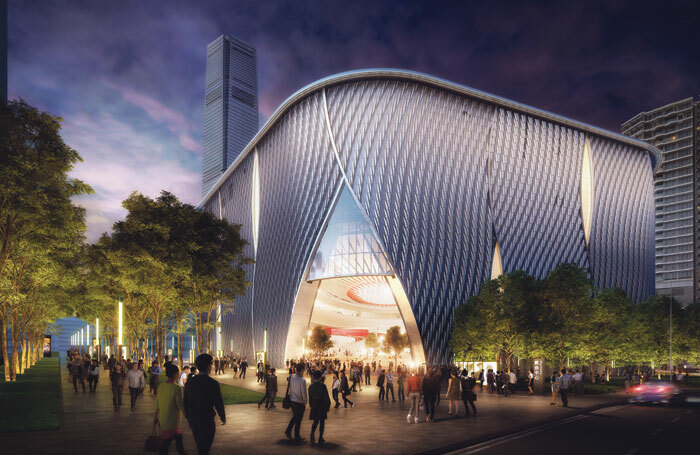 West Kowloon Cultural District came calling when it was looking for a layer of management to assist the executive director of performing arts in developing the artistic strategy for its future theatres. With that in mind, the WKCD artistic teams have been programming since 2012 mainly for the on-site outdoor spaces as a way of building relationships with current and future audiences. Most high-profile are: the West Kowloon Bamboo Theatre, an annual pop-up theatre with programming focus on Chinese opera; Freespace Fest, a yearly large-scale, outdoor, multi-genre performing arts festival; and Freespace Happening, a monthly outdoor, music-focused event. 1. While events and training programmes are already taking place, the buildings are opening in stages – the M+ Museum will open in 2020, the Xiqu Centre is scheduled to fully open in 2018 and Freespace in 2019. Opening in 2021, the three spaces of the Lyric Theatre Complex will also include a Resident Company Centre, comprising a large rehearsal hall and eight dance/rehearsal studios. 2. Before completion of the venues, WKCD is holding public cultural events, including the West Kowloon Bamboo Theatre event. The temporary structure covers 1,800 sq metres. The cost of land levelling and bamboo scaffolding was about HK$1 million. The structure uses more than 10,000 bamboo stalks woven together by 10 bamboo scaffolders in two weeks to create an 800-seat auditorium. 3. Freespace is a unique performing arts facility with a large-volume, black box theatre measuring 20 metres by 33 metres and a height clearance of 10 metres, sitting in the middle of Hong Kong’s largest Art Park in West Kowloon. Its programming will transition from day to night using both the Art Park and Freespace. One side of Freespace faces a lawn area that can hold an audience of 10,000, a huge potential for large-scale, outdoor festivals. 4. Cantonese opera is an important heritage of Hong Kong, and for WKCD it is critical to have a major facility dedicated to Chinese opera. 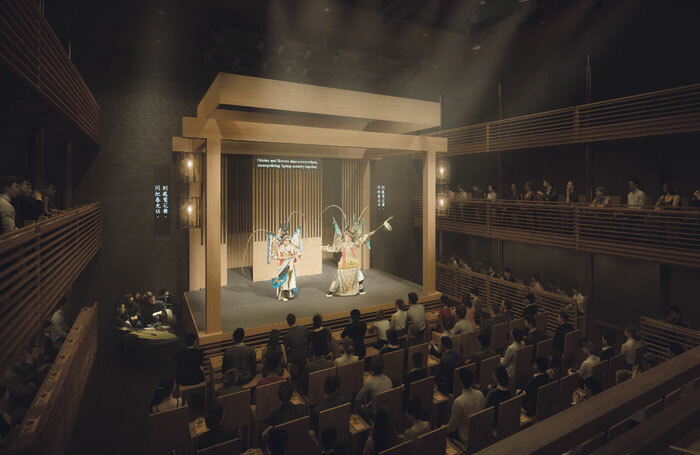 The Xiqu Centre (pronounced ‘hsi-chu’) will be the home of this form, a fusion of music and drama that traces its origins back to more than 1,000 years and now exists in 368 different forms. The festival featured eight theatre and contemporary performance-makers from around the world who came to Hong Kong to share their approaches in a series of workshops and lectures, including Stefan Kaegi/Rimini Protokoll, Alan Lucien Oyen/Winter Guests, Enrique Vargas/Teatro de los Sentidos, Yudi Ahmad Tajudin/Theatre Garasi, Jan Fabre Teaching Group, Ant Hampton and Christophe Meierhans. These workshops and dialogue between theatremakers from Hong Kong and elsewhere will be the building blocks to possible collaborations and actual projects. More importantly, they serve as meeting-points for new creative relationships to imagine the performing arts for the next five to 10 years. Keen therefore to develop long-term partnerships, WKCD is in conversations with a number of arts centres, presenting and producing arts institutions, festivals and similar platforms to explore a range of possible sustained partnerships. For example, the Xiqu Centre signed a memorandum of understanding with the Shanghai Center of Chinese Operas to establish a long-term partnership covering exchanges in areas such as artistic development and venue operation. The dance team has also been developing a series of residency and creation-related programmes with Finland’s Dance Info Finland and Zodiak and Australia’s Dancehouse. The size range of venues currently being built mostly fall within the mid-scale as a direct response to the needs of artists and arts companies. While two spaces will cross the 1,000-seat range, all are intended to cater to the range of work seen as possible within the venues. Each of the venues will have a distinct artistic positioning and direction. The Xiqu Centre is very much focused on Chinese opera, while the flexible 450-seat Freespace is a multi-genre contemporary performance space that will be unique in Hong Kong. The third venue to be completed within the Phase 2 development, the Lyric Theatre Complex (tentative name) will comprise three theatres focused on dance and theatre. The complex will also house a resident company centre for the dance sector. Outreach is integral to the final shape of the WKCD, says Low. “As part of the performing arts team at West Kowloon, we also have what we call learning and participation. This is very much about developing a deeper engagement with current and future audiences. Whether through participation or learning programmes that complement the artistic programme, the volunteer programme for our various events and activities, to advocacy and membership-related work, the intention is to build a sustained relationship with different community sectors. The presence of the other new arts centres in the region is therefore seen by WKCD to be an advantage, where potential new partners represent new possibilities in creating a healthy network that could benefit artists working and travelling in the region. With everyone facing arts cuts, it’s clear that even the mightiest of organisations will need to look at pooling resources with their peers. Since the WKCD is firmly on the way to making itself one of the world’s major arts hubs, there’s no denying the effect it will come to have on attitudes outside of Asia towards the work the region is capable of producing. Low agrees: “We hope this will be a positive shift in gaze to Asia and our part of the world. We see our colleagues in Europe and the US as important partners and we should facilitate more intimate research on artists and work produced from Asia.